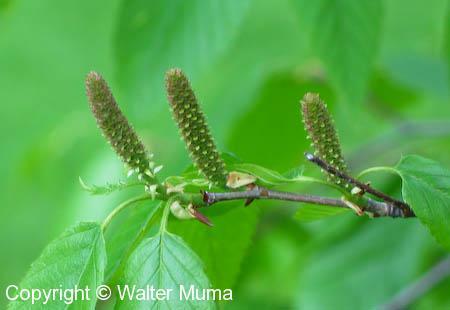  White Birch (Betula papyrifera) - bark papery and white. 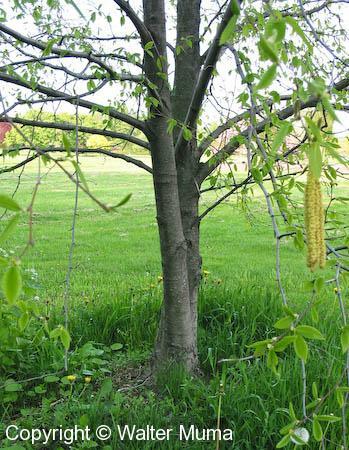 Notes: Mature Cherry Birch trees are only found in a single location in Ontario: a single stand of them in Port Dalhousie (St. Catharines) on Lake Ontario, on private property. The tree featured on this page is a young one at the Royal Botanical Gardens in Burlington, Ontario. Photographs: 22 photographs available, of which 9 are featured on this page. SCROLL DOWN FOR PHOTOGRAPHS. 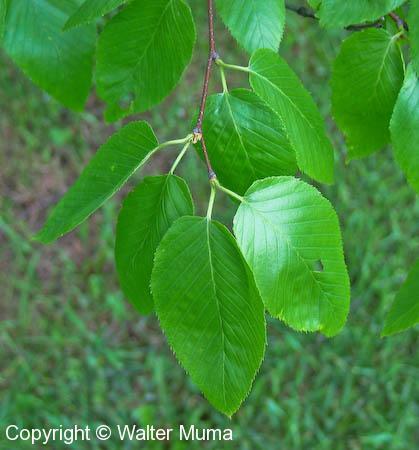 Bark of Cherry Birch is dark, not at all like White Birch (Betula papyrifera). This is the bark of a young tree. 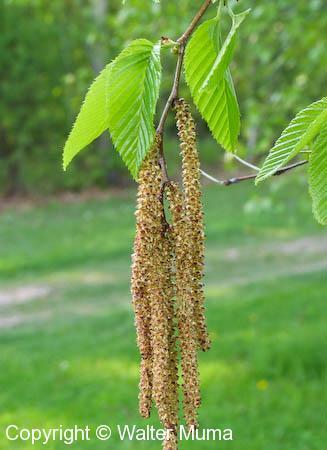 Note the similarity of the bark to that of Cherries - hence the tree's name: Cherry Birch! The two types of trees are easily confused. 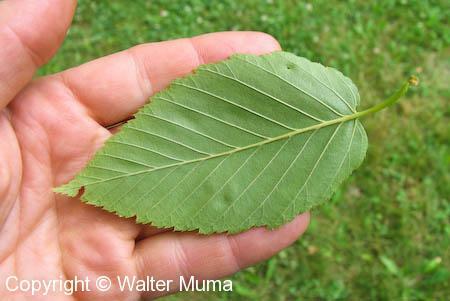 The overall form of a young Cherry Birch. The leaves are elliptical. This is the upper side of a leaf. Male flowers in late May. Developing fruit, in early July.